WATCH: Doyle Brunson talks about the ten Westerns that make the top ten cut for him. 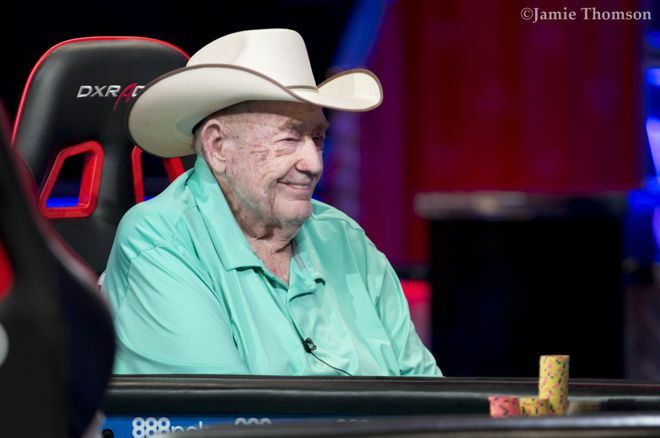 One of the original Texas road gamblers, it's no surprise that Doyle Brunson has accumulated loads of experience and knowledge on plenty of topics other than poker over the years. His signature cowboy hat and Texas roots would indicate that one of those topics is Country Westerns, and it turns out he is indeed very knowledgeable on the genre. The godfather of poker sat down with Nolan Dalla at his son Todd Brunson’s Italian restaurant, Roma Deli, to share his top ten picks. The just over 33-minute long video is the third of a series that goes over Brunson’s top 60 Westerns of all time. In this final video, Brunson talks about the ones that made his top ten list, as well as some flicks that didn’t make the cut. For “Texas Dolly,” it’s the poignant, memorable moments that make the top Westerns the best in his eyes. While Brunson may have played in his last tournament ever this summer in the 2018 World Series of Poker, he continues to be an expert source for all things poker — and also Country Westerns, as it turns out.